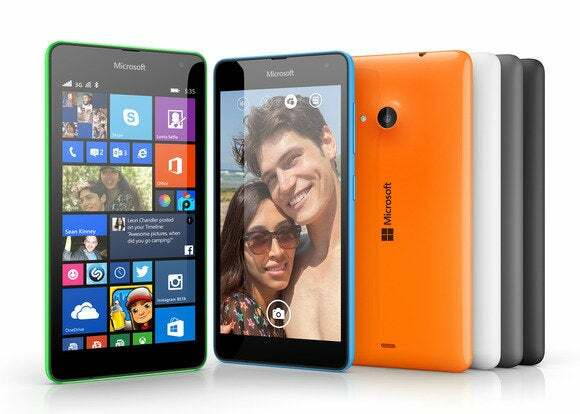 Microsoft's Windows Phone dilemma: Sell cheap phones or great cameras? 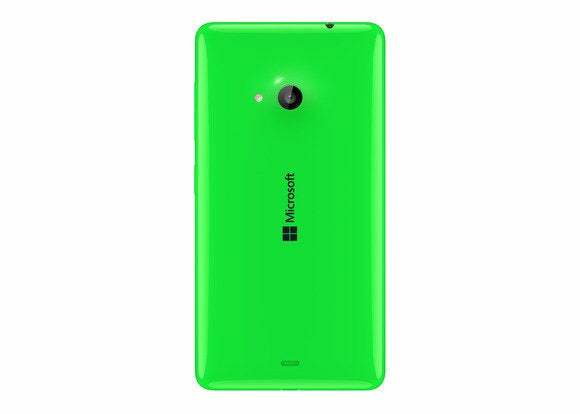 Microsoft announced the Microsoft Lumia 535 Monday night, dropping the Nokia brand on its smartphone for the first time. Although the back of the phone is still decked out in the trademark Lumia bright colors, there’s one significant change: The phone carries the Microsoft logo, not the Nokia brand. Unfortunately, that might be the biggest news about this phone. Although it’s available worldwide in both single- and dual-SIM variants, the Lumia 535 isn’t especially noteworthy: Microsoft calls it a “5x5x5” phone, available for about 110 euro ($136.70) in local currencies. That’s a catchy way of highlighting the 535’s 5-inch qHD display (960x540 pixels). The second “5,” according to Microsoft, is the 5MP, wide-angle, front-facing camera—most likely the same front-facing camera that’s installed on the Lumia 735. ...And the all-important Microsoft label on the back. The final “5” refers to the “five great integrated Microsoft experiences” included on the phone: built-in Skype integration, the pre-installed Microsoft Office suite, 15GB of free OneDrive cloud storage, the Cortana digital assistant, and Microsoft Outlook. “Innovation should be available to everyone, and we are doing this through the very best integrated Microsoft services free and out-of-the-box, a 5 MP wide-angle front-facing camera and a spacious 5 inch, qHD screen – all at an affordable price,” said Jo Harlow, corporate vice president for phones at Microsoft, in a statement. 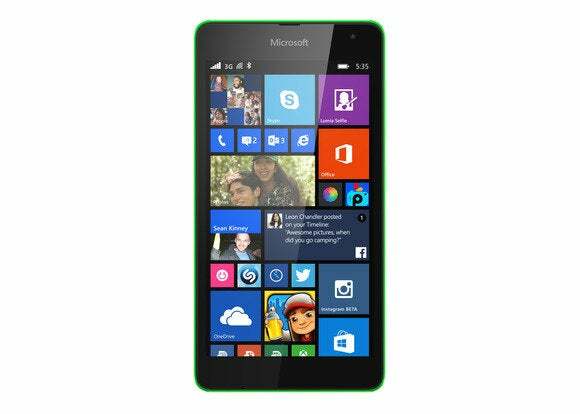 According to Microsoft, the Lumia 535 measures 140.2 x 72.45 x 8.8 mm and weighs 146 grams. Inside is a relatively weak Qualcomm 200 CPU, 1GB of memory, and 8GB of storage. It does include a 128GB microSD card slot, however. 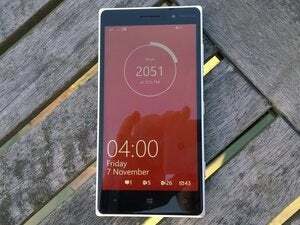 Microsoft estimates that the 1,905 mAh removeable battery will allow for GSM talk time of up to 11 hours. Why this matters: Last month, Microsoft said that it would ditch the Nokia brand to eliminate confusion in the market following the company’s $7 billion acquisition of the technology. (Nokia still exists as a company, but it focuses on networking equipment and its HERE mapping technology.) But the Nokia name will live on in low-end phones. In any case, Microsoft needs to establish itself as both the owner of the Nokia brand as well as the ecosystem that powers it. A Microsoft label is the natural place to begin.